Next generation design features the world safest whisker biscuit arrow rest that is incorporated into the ambidextrous riser. 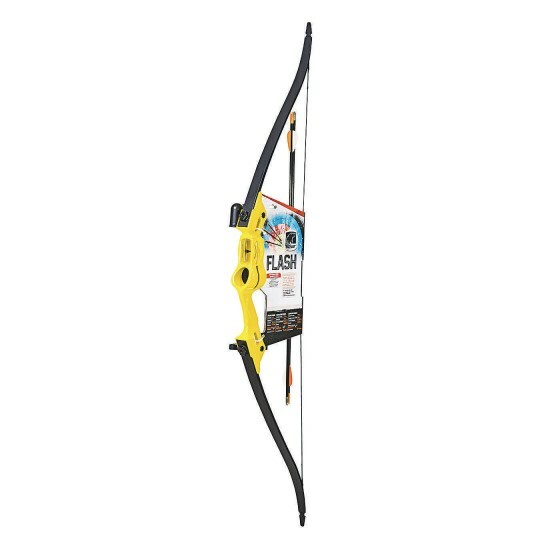 With a 47” overall bow length; 16”-24” draw length; 5-18lb draw weight; 7” brace height; this bow is great for beginners and skilled archers from 5 to 10 years old. 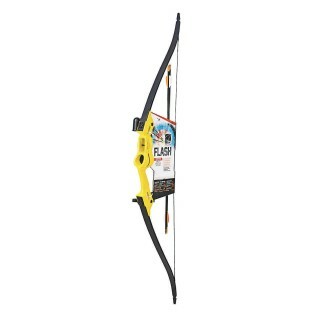 Set includes two safety glass arrows, armguard, arrow quiver, sight pin, and finger rollers.